Hiccup's best friend Fishlegs thinks he has a nasty cold, but Old Wrinkly has diagnosed . . . VORPENTITIS, caused by the sting of a Venomous Vorpent, which is pretty much ALWAYS FATAL! The only antidote is the Vegetable-that-No-one-Dares-Name - the POTATO. But the only way for Hiccup to find the cure is to face Norbert the Nutjob and the terrifying Sea Dragon, the DOOMFANG. 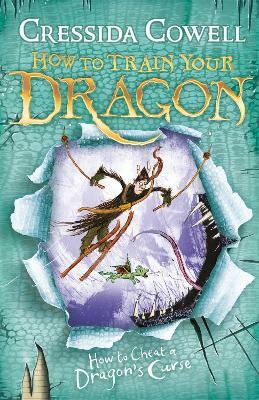 Can Hiccup survive the quest to save his best friend - and discover how to cheat a dragon's curse?